April 11, 2019, 7:40 a.m.
Michael League Masterclass in Melbourne. 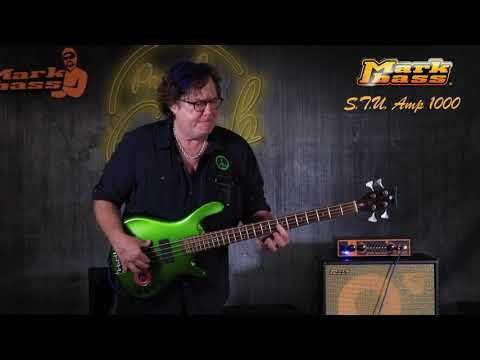 Mixdown Magazine, Bluesfest Touring, GroundUp Music and Markbass are proud to present an exclusive Masterclass with 3-time Grammy Award-winning musician and Markbass top-artist Michael League. April 2, 2019, 12:37 p.m.
Alfredo Paixao Trio - showcase at Markbass headquarters. On April, 29th we'll have another amazing Special Event at Markbass headquarters with Alfredo Paixão Trio, feat. Markbass artist Alfredo Paixão on bass, Ettore Carucci on piano and Israel Varela on drums. Feb. 14, 2019, 4:06 p.m.
Michael Manring and Finaz - Italian Tour. 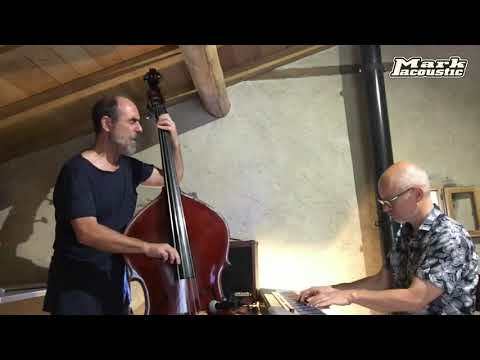 Markbass top-artist Michael Manring and DV Mark artist Finaz will tour in Italy from March 12nd to 17th, 2019. April 11, 2019, 7:40 a.m. Michael League Masterclass in Melbourne. April 2, 2019, 12:37 p.m. Alfredo Paixao Trio - showcase at Markbass headquarters. Feb. 14, 2019, 4:06 p.m. Michael Manring and Finaz - Italian Tour. Feb. 5, 2019, 10:25 a.m. Dario Deidda and Markbass. After a very successful Namm Show in Anaheim where we introduced many new exciting products, we have another great news to share regarding the amazing Dario Deidda who we are pleased to have back into our Markbass family! Feb. 4, 2019, 7:02 a.m. Markbass is proud to support the GroundUP Music Festival. We are proud to support the third annual GroundUP Music Festival, led by GroundUP and Snarky Puppy founder —and Markbass top artist— Michael League, that will be held in Miami Beach,February 8-10, 2019. Feb. 1, 2019, 3:59 p.m. Reggie Washington new dates! Markbass artist Reggie Washington is about to embark on a mini-tour in Europe, touching Germany, Belgium, France and Luxenbourg to promote his "Vintage New Acoustic" new CD. Jan. 31, 2019, 12:19 p.m. New Music Release from Award-Winning Bass Phenom Gabriel Severn. 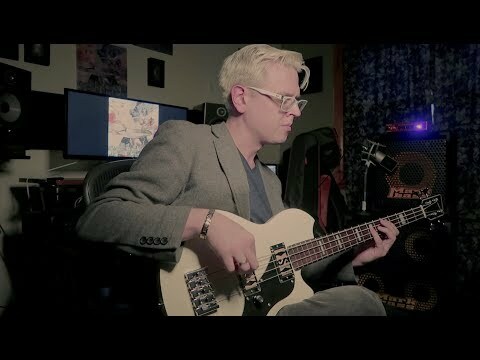 Electric bass phenom and Markbass Rising Star Gabriel Severn will release his second single, “Kick Start”, on Friday, Feb. 1. Jan. 11, 2019, 7:18 p.m. NAMM 2019 NEW PRODUCTS! Here a preview of all the exciting Markbass and DV Mark news we’re introducing during the upcoming Winter NAMM 2019! Jan. 11, 2019, 6:07 p.m. Markbass and DV Mark are ready to shine at Namm 2019! For those of you traveling to Anaheim to attend to the Namm Show 2019, we invite you to visit our booth #5044 - Hall D to check out our exciting new products for 2019 and to attend to many, many performances by our amazing Markbass and DV Mark artists. Jan. 10, 2019, 5:59 p.m.
BASS TO BASS WITH MARCUS. If you will be attending the upcoming NAMM show... the day before the show opening bring your bass & Meet MARCUS MILLER and try the awesome products of his signature series. Nov. 14, 2018, 8:10 a.m.
Trio BOBO showcase at Mark World headquarters. On December 18th, 2018 we'll have another Special Event at Mark World headquarters with the amazing Trio BOBO, feat. Markbass artist FASO, DV Mark artist ALESSIO MENCONI and CHRISTIAN MEYER. 14 year old Bassist Gabriel Severn releases Award-Winning debut Music recorded with World Class Musicians. Markbass Rising Star and electric bass phenom Gabriel Severn makes his recording debut with the DownBeat Award-winning tune “Song for Fina” on November 16, 2018. 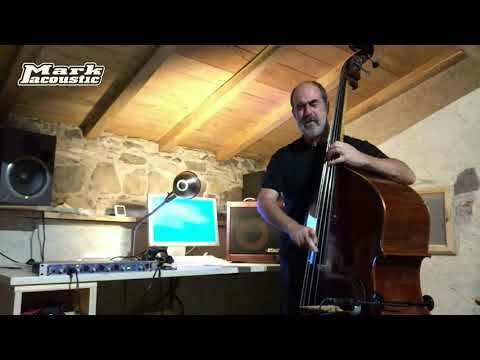 Nov. 12, 2018, 7:12 a.m.
Pierluigi Balducci published his new method book for electric bass. Finally the two books and e-books "CONTEMPORARY ELECTRIC BASS" by Markbass artist Pierluigi Balducci are available on Amazon. Nov. 6, 2018, 3:11 p.m.
Reggie Washinton NEW CD “VINTAGE NEW ACOUSTIC”. November 7th, 2018 Markbass top-artist Reggie Washington releases his new Album "Vintage New Acoustic". Oct. 31, 2018, 7:18 a.m.
Lorenzo Feliciati releases new album with Twinscapes on Rarenoise. For their second Twinscapes collaboration, Markbass artist Lorenzo Feliciati and bassists Colin Edwin address their respective ‘80s pop roots in the context of the same ambient soundscapes, freewheeling improvisations and prog-rock flurries that graced their 2014 self-titled RareNoise Records debut. Oct. 28, 2018, 9:03 a.m.
Vivaldi Metal Project - The Four Seasons - first date in Italy! The first Italian date of Vivaldi Metal Project World Tour will be held on October 31st at 'Teatro dei Marsi' in Avezzano (AQ)! Oct. 16, 2018, 2:19 p.m.
Richard Bona on Tour - November 2018. November 2018 Markbass top-artist Richard Bona will tour in Asia and Europe with his amazing group. Oct. 16, 2018, 9:02 a.m.
Teymur Phell in tour with Zen Amadeus and Soulbop XL. 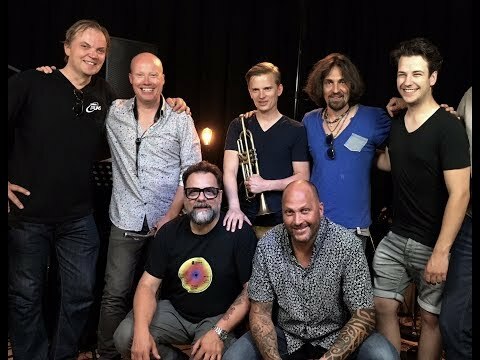 Markbass artist Teymur Phell is about to embark on two consecutive tours in Europe: the brand new project of Simon Phillips and Bill Evans 'ZEN AMADEUS' and the 'SOULBOP XL' 15th Anniversary Tour by Randy Brecker and Bill Evans. Oct. 15, 2018, 10:22 a.m.
Mario Guarini - Claudio Baglioni “50 Anni AL CENTRO” tour. Startin on Oct 16th, Markbass artist Mario Guarini will embark on the first part of the tour “50 Anni AL CENTRO” of Claudio Baglioni. Mario will use his Little Mark Tube 800 and Standard 104HR-4 setup. Oct. 9, 2018, 8:02 a.m.
Ana Karina Sebastiao workshop at Made in Brazil. 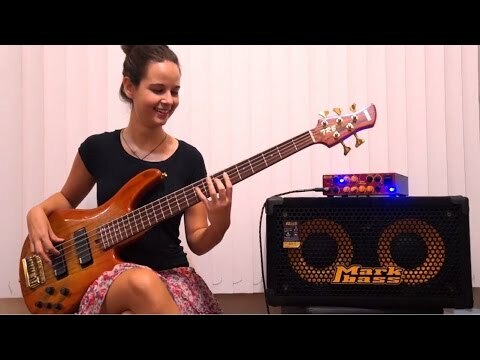 On October 18th 2018, Markbass artist Ana Karina Sebastiao will have a clinic/workshop at Made in Brazil Music Megastore in San Paolo (Brazil). Sept. 26, 2018, 9:28 a.m.
Richard Bona - Markbass clinic at Blue Note Tokyo. November 11th, 2018 on the occasion of the Japan Bass Day 1111, Richard Bona will have a special bass clinic at Blue Note Tokyo, supported by Markbass. Sept. 26, 2018, 7:44 a.m.
Jeff Berlin and Mohini Dey at The Big Mama Jama Jam-a-thon. Saturday, September 29th 2018 Markbass top-artists Jeff Berlin and Mohini Dey will perform at Jamathon event, hosted and directed by the great Steve Vai. Sept. 21, 2018, 2:57 p.m. The Electric Nomads on tour with Markbass and DV Mark. Markbass artist Chris Minh Doky will be touring Europe with his band "The Electric Nomads" featuring DV Mark artist Dean Brown, Dave Weckl and George Whitty. Sept. 20, 2018, 3:31 p.m.
Markbass Artist Pierluigi Balducci performs in Austria and Tunisia with his trio Amori Sospesi. 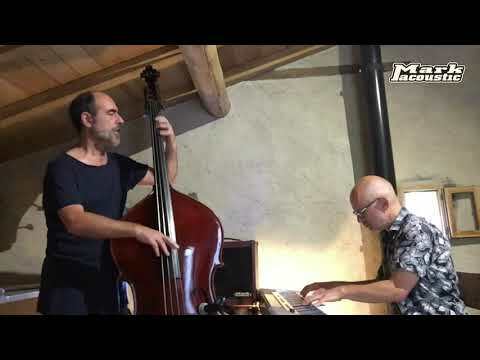 As bassist of the trio Amori Sospesi, including the great clarinetist Gabriele Mirabassi and the talented guitarist Nando Di Modugno, our artist Pierluigi Balducci will play at the Porgy and Bess Jazzclub in Wien and at the Jazzfestival in Leibnitz, and in Tunisi in October. Sept. 4, 2018, 3:03 p.m.
Dino Fiorenza plays for Vivaldi Metal Project event. Vivaldi Metal Project is extremely proud and excited to announce his ELECTRIC SHOW WORLD PREMIERE that will take place on September 23, 2018 in Plovdiv (Bulgaria), featuring Markbass artist Dino Fiorenza. Aug. 7, 2018, 7:52 a.m.
We are happy to welcome Tonina Saputo into the Markbass Artist family. As always Markbass supports talented players around the world! Welcome on board Tonina! 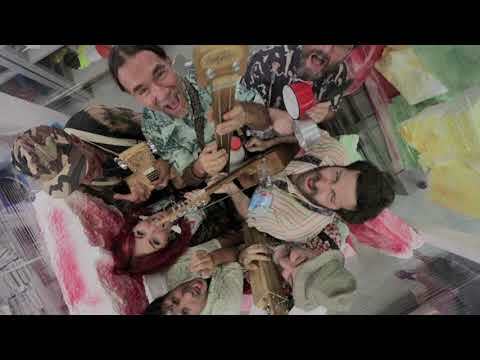 Aug. 1, 2018, 9:51 a.m.
Markbass Artist Lorenzo Feliciati presents the new project Skunk Funk International. June 25, 2018, 7:03 a.m.
Supersonic Blues Machine with Markbass artist Fabrizio Grossi in Tour in Europe featuring legendary Billy F. Gibbons (ZZ Top, BFGs). The Blues-Rock and Soul supergroup Supersonic Blues Machine will start its Summer European Tour on July 4th in London. June 1, 2018, 12:55 p.m.
SingzTse Markbass clinic in Hong Kong. Wanna spend a groovy Saturday? SingzTse, bass player from the Hong Kong band KOLOR, is gonna held a Markbass clinic on June 16th 2018 at the Parsons Music Hall, 14/F, Times Square, Causeway Bay in Hong Kong. May 15, 2018, 6:03 a.m.
Jeff Berlin releases Joe Frazier Round 3. Markbass top-artist Jeff Berlin released "Joe Frazier - Round 3", a newly remastered version of the original song from his critically acclaimed 1987 album "Pump It!" and a completely re-imagined version of his legendary signature pieces, composed and performed by Jeff, Steve Vai, David Sancious, Keith Carlock and Tom Hemby.